Declines in native bee populations are widely reported, but can existing data really analyze these trends? 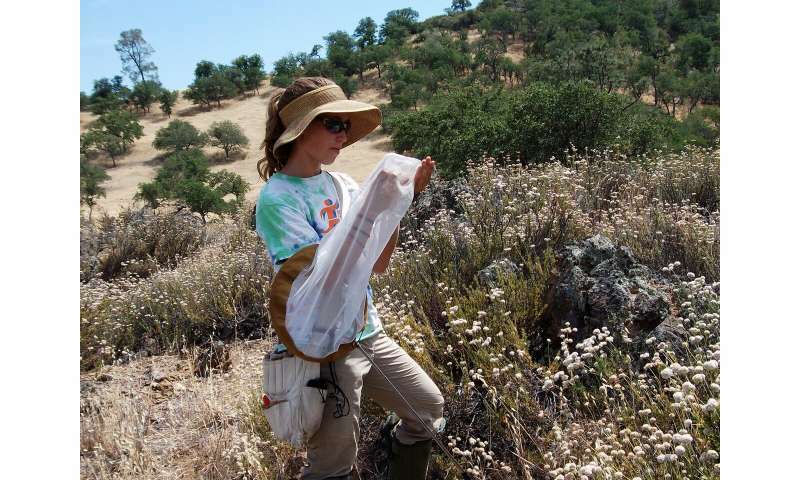 In the Jan. 17, 2019, online edition of PLOS One, Utah State University and USDA researchers report findings about pollinator biodiversity in California's Pinnacles National Park derived from data collected from three separate surveys spanning 17 years. 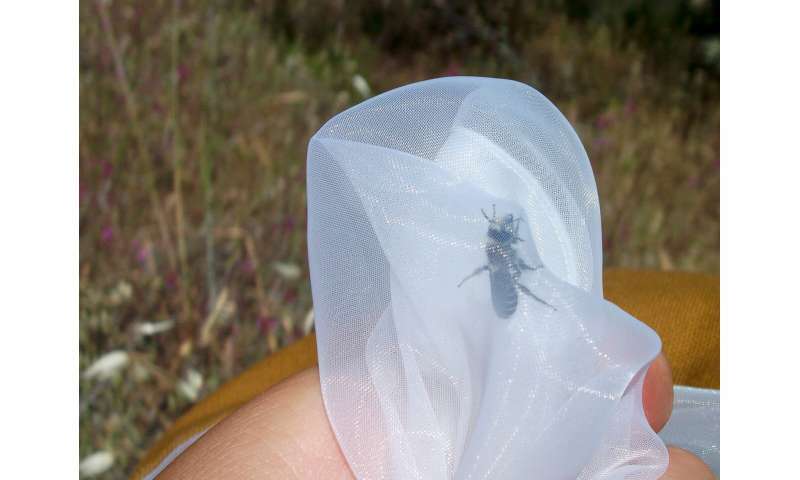 Their results documented 450 species of wild, native bees at Pinnacles, including 48 new to the area since 2002, and 95 detected at the site in the 1990s, but now missing. "This number of species marks the park as a national biodiversity hotspot for bees," says lead author Joan Meiners, who completed a master's degree from Utah State in 2016. "We found that only 23 natural areas across the country have been systematically and exhaustively surveyed for bee biodiversity, and no others have been later replicated to compare changes over time," says Meiners, currently a doctoral student at the University of Florida-Gainesville. "Increased land conservation and systematic, replicated monitoring efforts, similar to those we present from Pinnacles, will be essential to accurately track the extent and nature of widespread declines in our most important pollinators," Meiners says.